There's no questioning the Samsung Galaxy Watch is one of the best smartwatches in the world right now, but if you've been holding off getting one, now is the time to give in. Argos has a mega deal right now, throwing in the Samsung Duo Wireless charger, worth £89.99, completely free of charge. 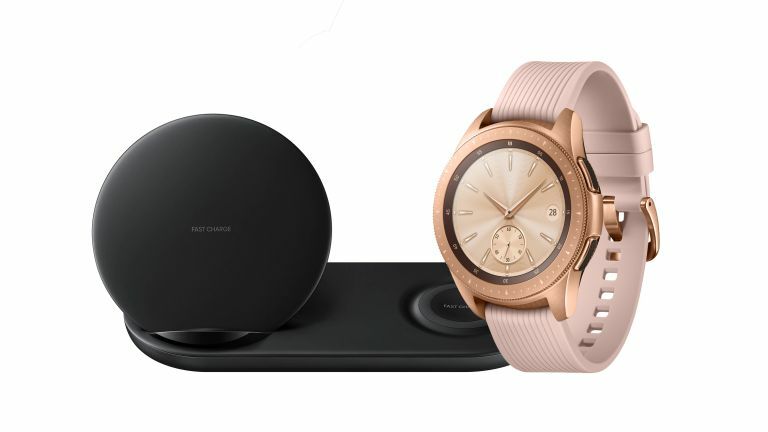 The Samsung Duo Wireless Charger allows you to charge your phone, and your Galaxy Watch (or a friend's phone) at the same time. The stand props up your phone so you can watch a movie or answer a text while it charges. There's a fast charge functionality, which works with the Samsung Galaxy Note9, S9, S9+, Note8, S8, S8+, S7, S7 Edge, Note 5, S6 Edge+, while regular speed charging will work with any Qi compatible device.